I finally got round to watching Horizons ‘Sugar Vs Fat’ and I have to say it was pretty interesting. I’m always very critical of these shows as they usually carry out experiments with an extremely small sample size and very little control measures. However, this had some interesting take homes. Unfortunately, the show started off quite badly, it analysed two groups with a sample size in each group of …..wait for it …… one. Just one person in each group! However, later in the show they interviewed a nutritional professor at Oxford University who has been gathering research for a decade, trying to establish why the nation is getting fatter and fatter. She began by stating that without a doubt, obesity is linked to heart disease, diabetes and cancer but what was really interesting was that she found that it wasn’t a particular pattern of eating that led to weight gain so much as certain foods. If you eat something high in fat or high in sugar, the body is pretty good at regulating an energy balance by signifying that you are full. However, when the foods we consume are both high in fat and sugar, this lethal cocktail becomes highly addictive, our body is less likely to signify we are full and it becomes extremely difficult to not over indulge. 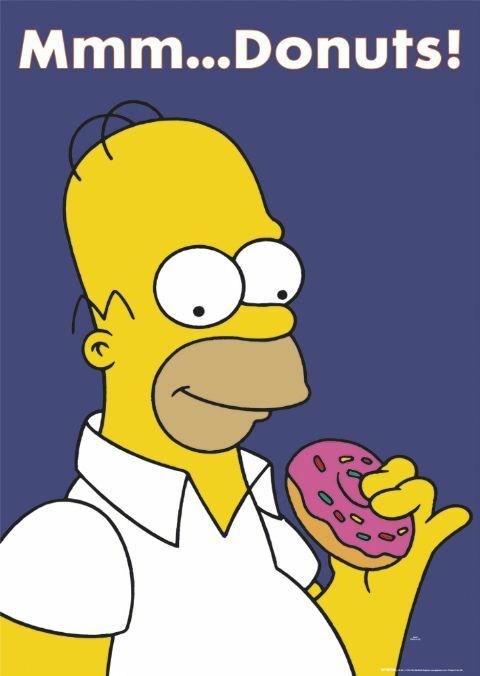 Apparently one of the most popular doughnuts in the UK and the USA has a ratio of 1:1 sugar/fat. This is the most potent ratio for sending our taste buds crazy and overrides our urge to stop eating when full. Cheesecake also has this ratio. I don’t know about you but I love cheesecake and my full indicator is definitely disabled if ever I eat it. This ratio does not exist anywhere else in nature, therefore you can only get this unnatural- obesity -inducing ratio in processed foods. As the food industry has been developing more and more processed foods we have been getting more and more fat. Processed foods are highly addictive so if you want a chance at staying lean and being healthy you must eliminate them from your diets or at the very least seriously moderate them, if that’s even possible! We already know processed foods are bad but understanding exactly why they make us so fat might help us all to think twice next time we consider walking into Greggs!